How do I set up a user's timezone? To set the user timezone you either go to Users → select user → Edit user → Timezone, OR click on your name (bottom left) → Your Settings → Date and time settings → Timezone if you wish to set your own one. The user timezone needs to be the same as the computer timezone in order for the tracked time entries to be displayed correctly. 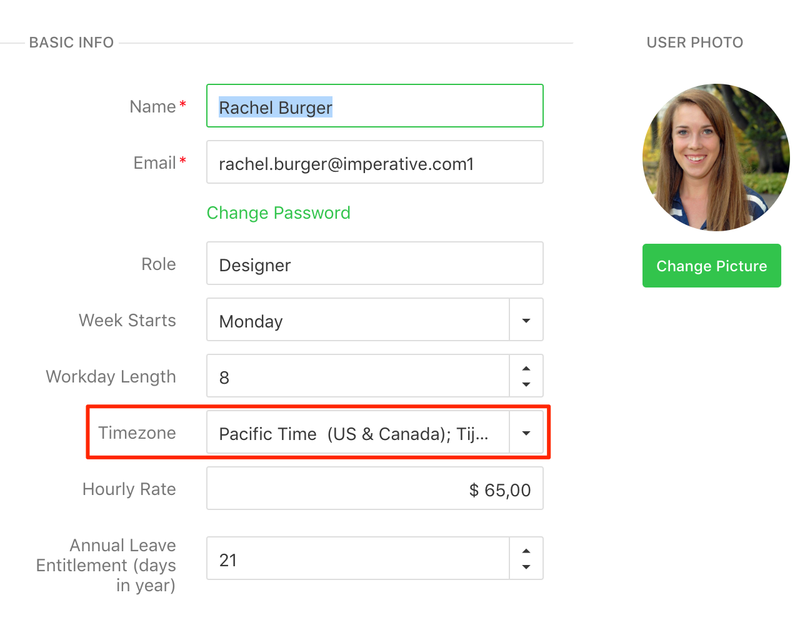 Tips & Tricks If you’re a project manager or admin, you will see other people’s time entries converted to your own timezone (if your timezone is different from theirs).